Reflecting on the wooded nature of the Walkham Catchment, together with its importance as a salmonid fishery and Natural Flood Management (NFM), we held a woodlands, water and fisheries workshop to engage and bring together all relevant stakeholders to exchange information on these topics. Charles Dutton, Senior Forester with Pryor & Rickett Silviculture, explains forestry erosion control techniques to attendees. 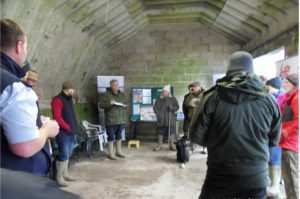 The event took place near the River Walkham, near Walkhampton, by kind permission of Richard Glanville, local woodland owner, on 31st January 2019 as part of our 3 Rivers Project. 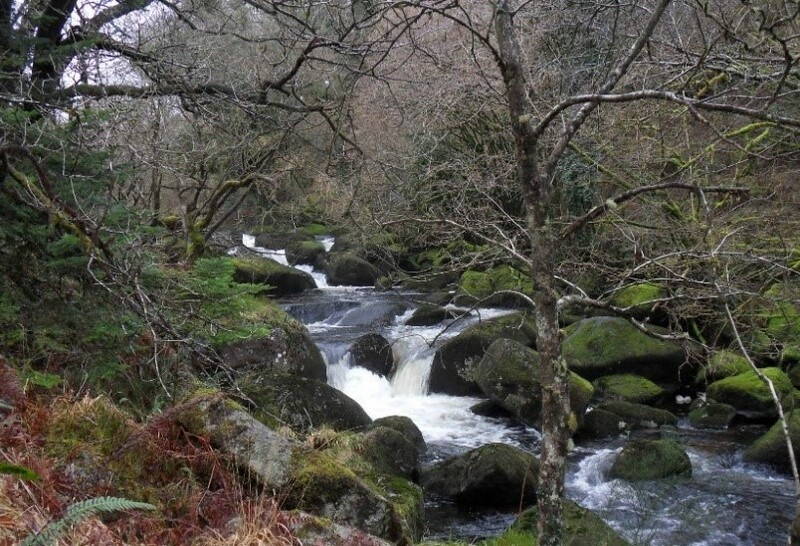 This project focuses on the Lumburn, the Tavy and the Walkham rivers. They have all been failing environmental standards for phosphate and fish populations. We have also been considering options for NFM initiatives. 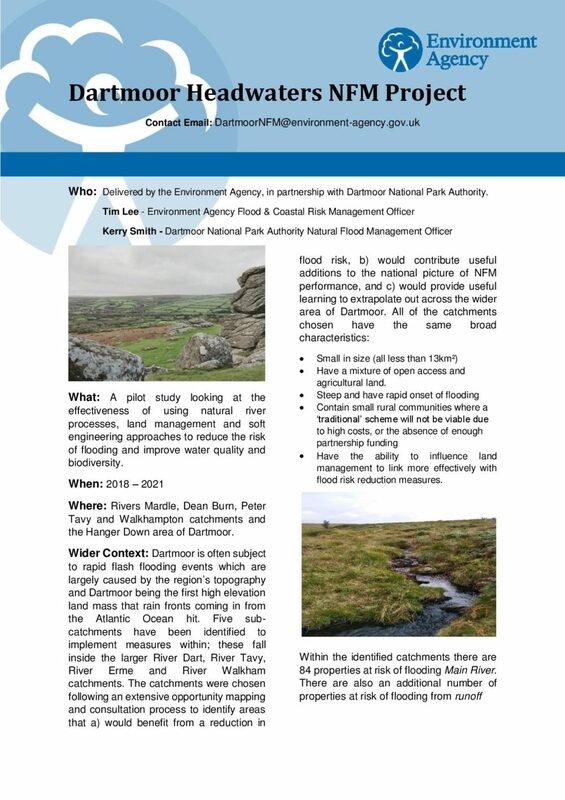 Significant stakeholders attended from the woodland / forestry sectors, land / riparian owners and Dartmoor Commoners. 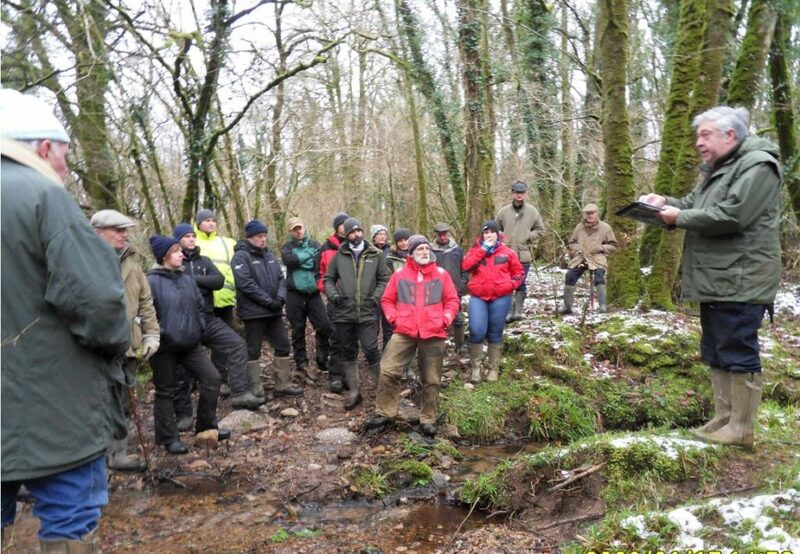 The ‘walk & talk’ workshop explored the latest initiatives and best management practice for riparian woodlands and timber extraction to protect water quality and fisheries, together with the role of woodlands in NFM. Riparian woodlands play an important role in our ecosystems and we work hard at WRT to not only help manage them in the immediate river corridor but incorporate trees into our landscape. The benefits of woodland are well recorded including; NFM, reduced compaction, increased organic matter, higher levels of insect, bird and mammal populations and re-connecting fragmented habitats. Commercial forestry, however, can have a negative impact on our rivers. Of particular concern is sediment. It is readily mobilised in wet weather and with heavy equipment using forest tracks often connected to ditches, channels and streams, reducing sediment transport into the rivers is essential if we are to protect water quality and salmonid populations. 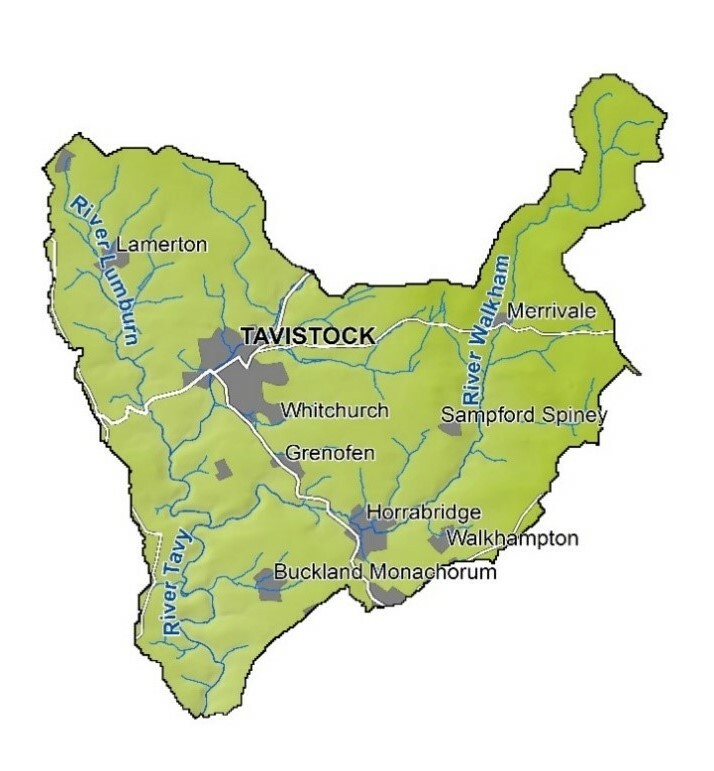 Through local engagement WRT has been working with commercial forestry contacts in some of our key target catchments including the Tavy. WRT provide advice and help to reduce impacts over the wet extraction season which can lead to point and diffuse impacts from machinery operations and trafficking. 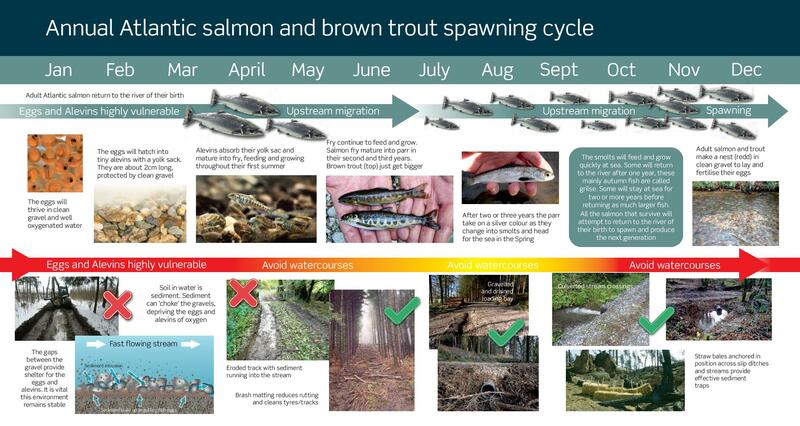 The winter forestry extraction months coincide with salmonid spawning which heightens the risk of sediment smothering redds (salmon egg nests) as well as degrading downstream habitat. 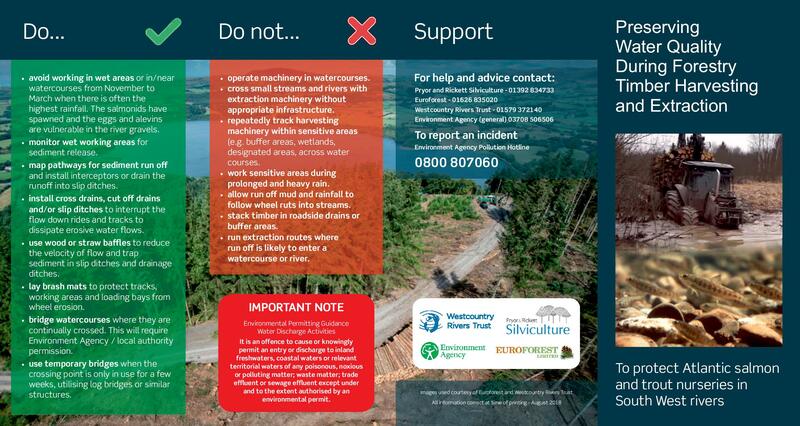 In partnership with Pryor & Rickett Silviculture (and supported by Euroforest and the Environment Agency), we have produced a simple guide (see below) for forestry water quality protection, covering; installing sediment traps, hard-standing to loading areas and track improvements. 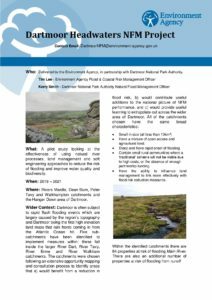 The Dartmoor Headwaters Natural Flood Management Project is about to move into its delivery phase with WRT, supporting the EA and Dartmoor National Park Authority. Find out more by clicking on the images below. 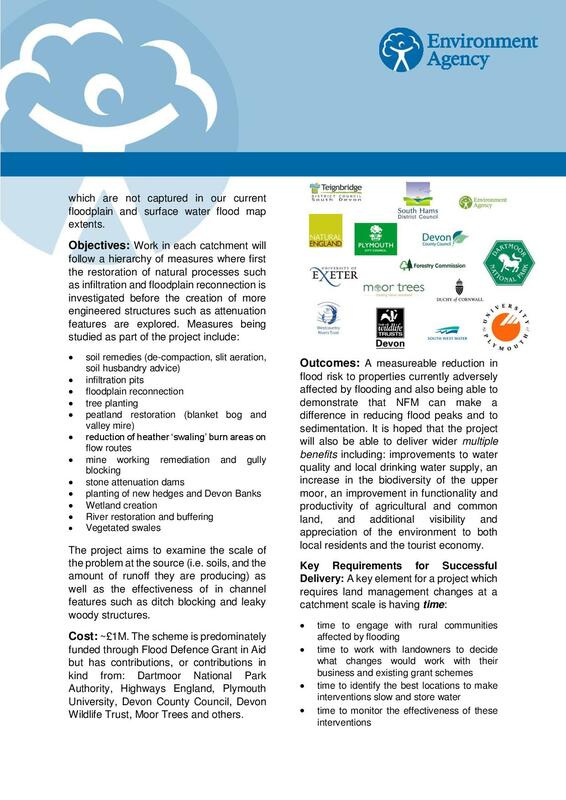 Woodland planting and management to attenuate run off and improve infiltration will be a part of this project. 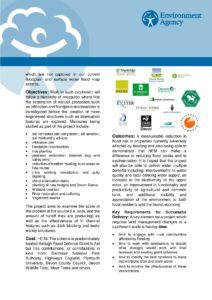 If you wish to discuss this, or similar projects, please contact Martin Harmer, Land and Rivers Advisor, on 07375 087105.